Paul Pierce does not think highly of the struggling Cleveland Cavaliers. Cleveland dropped to 1-10 to start the season when they fell to the Oklahoma City Thunder 95-86 on Wednesday. Pierce, the former Boston Celtics star who is now an NBA analyst for ESPN, said he believes the Cavaliers would fall to a college team if they played a game. "Y'all see that Duke game?" Pierce asked during a segment on NBA After the Buzzer. "They could beat Cleveland. You heard it here first." Duke’s roster is led by four of the top freshmen in their recruiting class, including stars RJ Barrett and Zion Williamson. In their first game, the number four Blue Devils dominated number two Kentucky and cruised to an easy 118-84 win. Barrett tallied 33 points in that game while Williamson chipped in 28. Meanwhile, the Cavaliers have lost four straight games since they picked up their first win against the Atlanta Hawks on October 30. 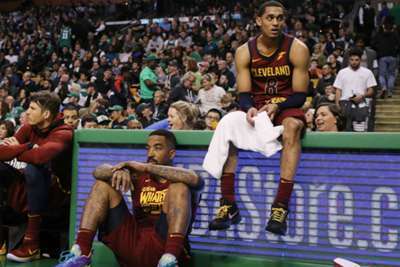 They have already fired coach Tyronn Lue and have been playing without star forward Kevin Love, who is expected to miss at least another five weeks after undergoing toe surgery. Cleveland point guard George Hill will also be out for at least a week with a right shoulder sprain, the team announced on Thursday. Pierce made 10 All-Star teams and won the 2008 NBA championship while with the Celtics. He also played for the Brooklyn Nets, Washington Wizards and Los Angeles Clippers during his 19-year career.